EDIT: Co-op is now renamed Choto Stop and can be found at 2277 Chino Roces Ave., San Lorenzo Village, Makati City. It’s right beside Kikufuji. 😀 Thanks for the correction Mila! 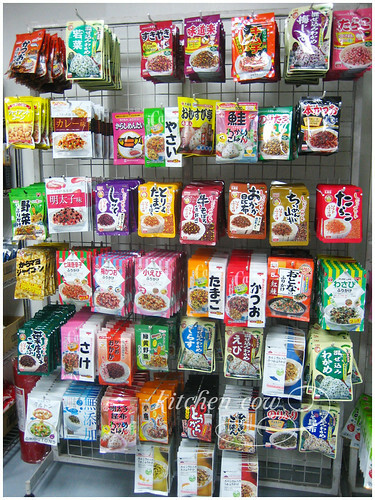 A few months back, my friends and I were thoroughly saddened when one of our favorite Japanese groceries, Co-op, closed down. 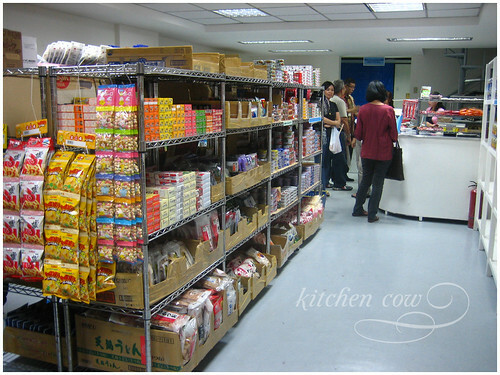 A small store that was stocked to the brim with snacks, food mixes, cooking ingredients, drinks, fresh vegetables, preserved and ready-to-eat foodstuff, and processed meats, you can spend ages browsing through the shelves, ooh-ing and aah-ing over what they offer. Never mind that I couldn’t understand what was written on the wrappers; pictures on labels, researching through my cookbooks and online and blind faith always worked in my case. So can you imagine how happy I was when I found out that not only had they re-opened, but they’re now bigger, better and… well, betterer? Our friendly all-goods-for-75-bucks (save a few items that are tagged with other prices) has reopened in a bigger location along Pasong Tamo St. Makati. It’s now part of Little Tokyo, just two stores down from Kikufuji. 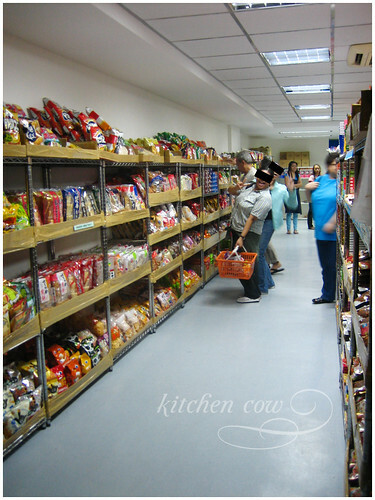 The new store is bigger, with wider aisles and more shelves. The lights are brighter plus the store feels generally roomier. I dropped by last week and while there were still a couple of empty shelves, I was assured that more deliveries are on the way. There’s even a separate section for the refrigerators, all set to open soon as well. Searching for snacks? 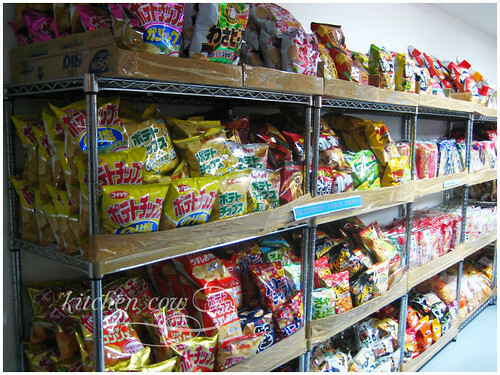 Choose from a wide selection of chips, corn-based snacks and senbei (rice crackers). No Frito Lay Takoyaki Balls that time, but I heard that a batch came in this week. Drat! An assortment of sauces for your cooking and dressing needs. 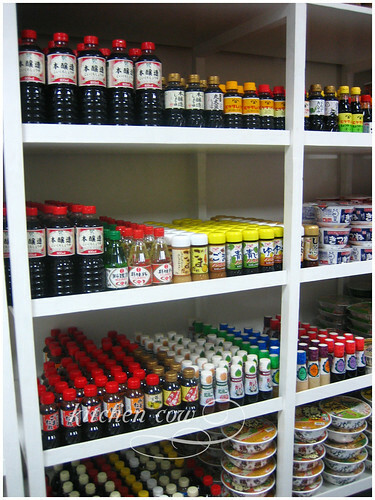 The white-capped bottle on the third shelf from the top, Kewpie Goma (sesame seed) Dressing is awesome stuff! Addicted to Curry? Try the Kamen Rider Curry! Spice up your rice with a gajillion furikake flavors! Co-op is open all days of the week, from 10am to 10pm. 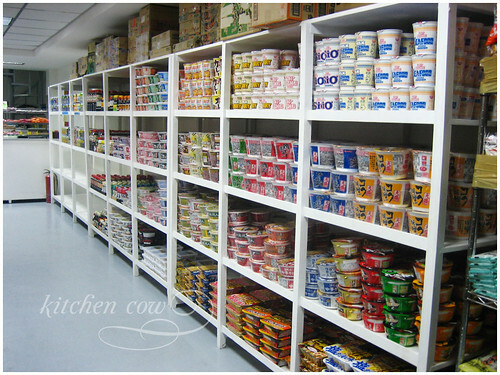 This entry was posted in food shopping and tagged 75 pesos, co-op, japanese grocery, little tokyo, makati. Bookmark the permalink. Yay~ Thanks for the info! Yay! It’s open again! I missed it. Wow, thanks so much for this very good news! this is great news!!! i was sad when i saw their notice of closure, but my blues are gone! You haven’t even seen anything yet—that’s just one of two racks! Hahaha, baka magkitakita pa tayo dun ah! I probably get a ton of stuff there, so neat. I noticed it’s not named Coop anymore but Copto Store or shop. And it’s right next door to Kikufuji. I think the salesladies are happier, they seemed chipper towards the clients, not as surly as they used to be in the old location. I’ve been there! Checked it out after dinner at Hana in Little Tokyo late December. I had no idea that they had just opened shop there. Guess that’s why I felt like things were out of place, you know.. like they haven’t gotten that “lived in” look yet. But this is a great post! I’ll be sure to drop by again now that I know more about this place. Yep! They reopened last December I think. Wasn't able to go until January, when we went back to work though. I hear the fridge section is now open too as well. Worth going back, no? Gosh, it’s been ages since I’ve been there. I used to go there everyday after work, (just walking distance) then hang out in Sango. Good to know that they reopened and it’s well stocked and bigger. It’s a sign to go back 😀 Though it’s a bit of a walk from Sango now, around a block away since it’s in Little Tokyo now whereas Sango’s still in Creekside. thanks for the heads-up, been wondering where they have set shop.. it’s about time they get back in business.. my stocks have gone bad and i miss my onigiri breakfast. YES!!! Thanks for this info. Garandee and I have been wondering when they’ll open again, so we’re real glad they’re back in business. Apparently she couldn’t live on New Hatchin alone. I hope they’re still selling my favorite choco ice cream waffle. I didn’t realize there’s so many of us Co-op fans. With all us buying, I hope business will be good for them. I miss New Hatchin! I haven’t been there in a year or so. We moved offices again though so it’s easier to go to New Hatchin. I miss their anpan! Are they open during sundays? YES! It closed down years ago. *sob sob sob* I loved J-Wave. 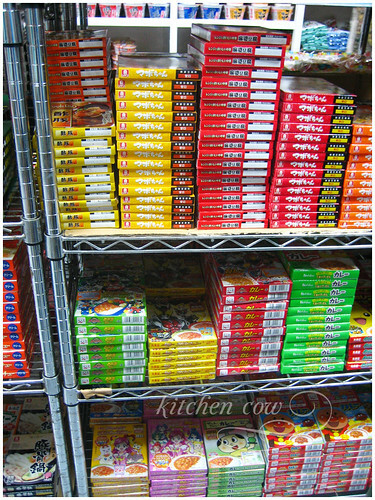 Most of my first Nakano boxes are from J-wave and I still use them. I was able to catch them during their closing down sale and they said they were looking for new shop space, most likely in Paseo de Sta. Rosa and Robinson’s Place in Cavite but I never found it if they did move. *sniff* Gawd I miss that store. I’ve only visited Little Tokyo a couple of times, and it’s unfortunate that I have not checked out this shop. Would anyone happen to know if Seikyo/Co-op/Chotto has/sells masago..? I live 3 hours away from Manila, so, I can’t check for myself even if I wanted to. Thank you in advance for any information!